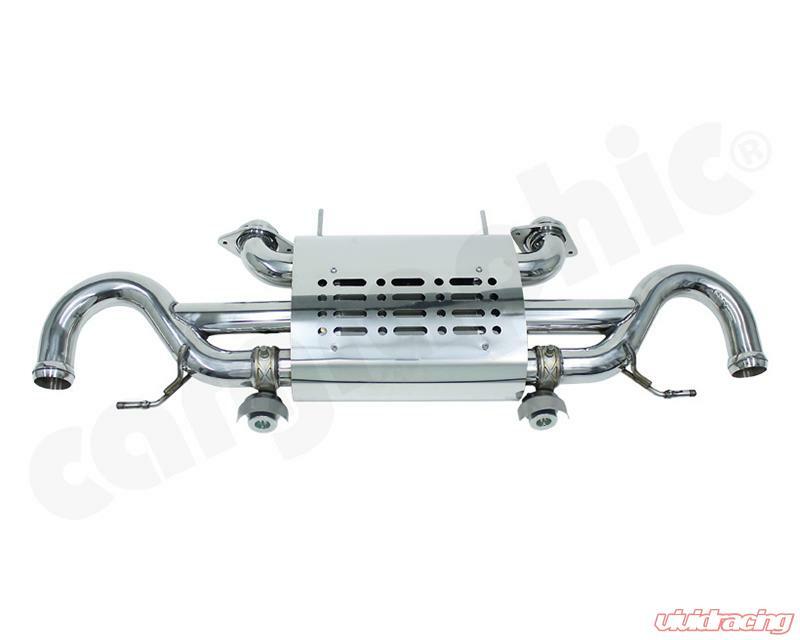 Sport Rear Silencer for Aston Martin Vantage V8 / V8 S.
Silencer with integrated exhaust flaps to be used with either OE flap control (if available) or with Cargraphic's optional performance flap control system . 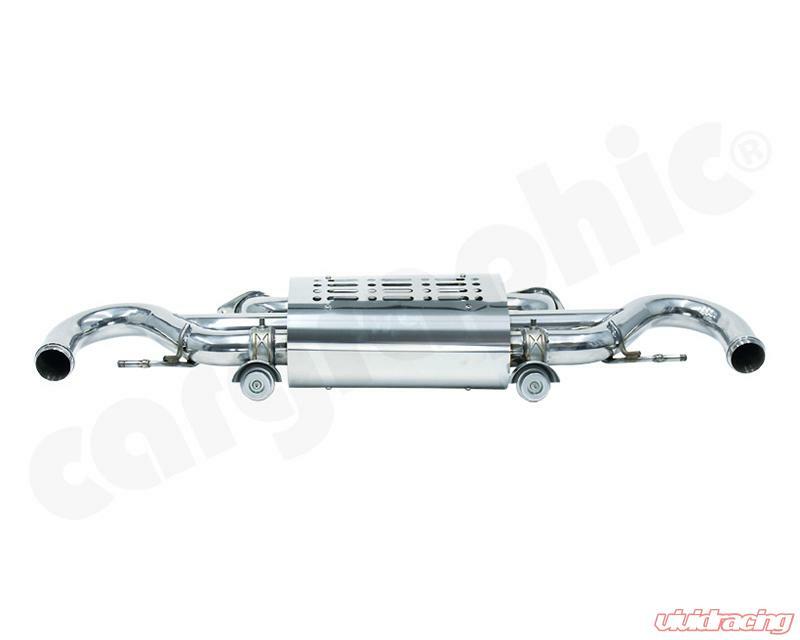 CARGRAPHIC sport rear silencers are concipated as absorptive silencers which reduce exhaust back pressure drastically. 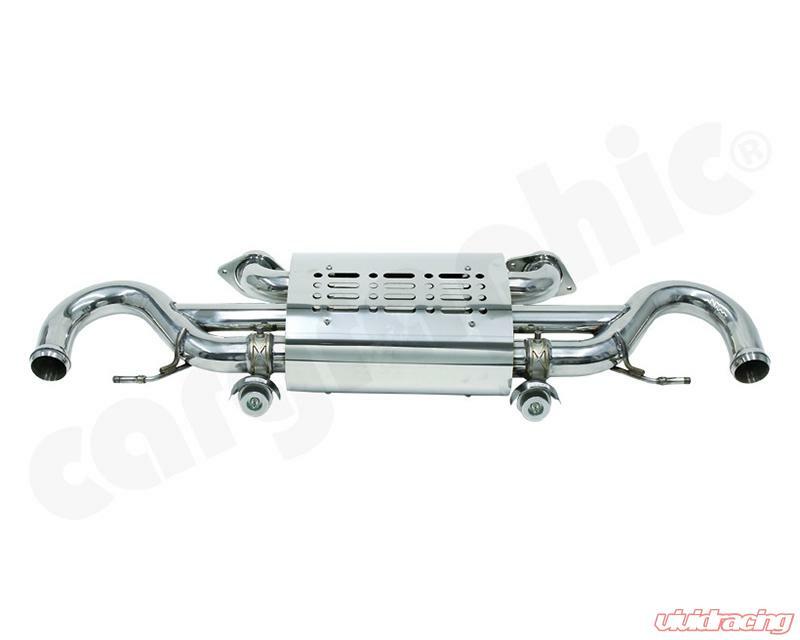 The result is besides more power and torque a better response characteristic. 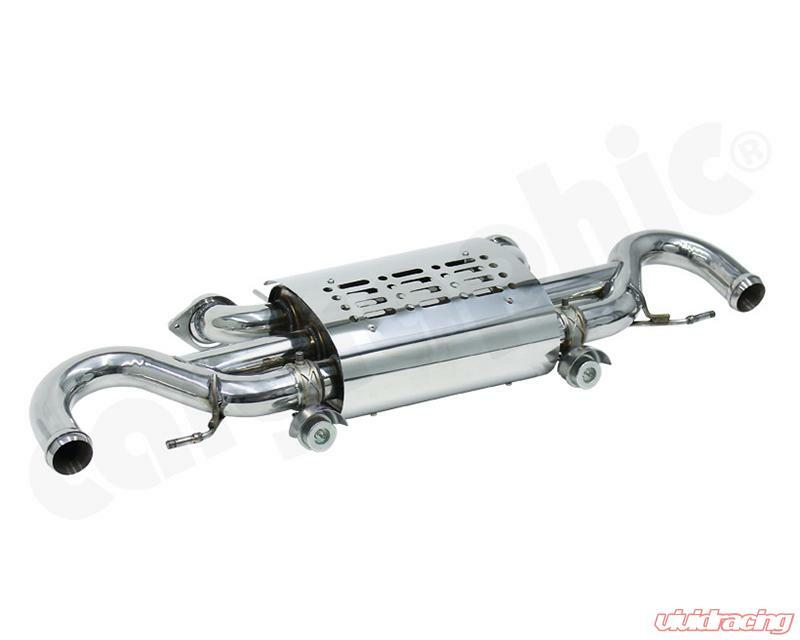 Further evidence of improvements made, are recognised through an enhanced accoustic and weight reduction. Strenghtened brackets as well as the olive- and slide system ensure an exact adjustment, which guarantees a stressless installation. 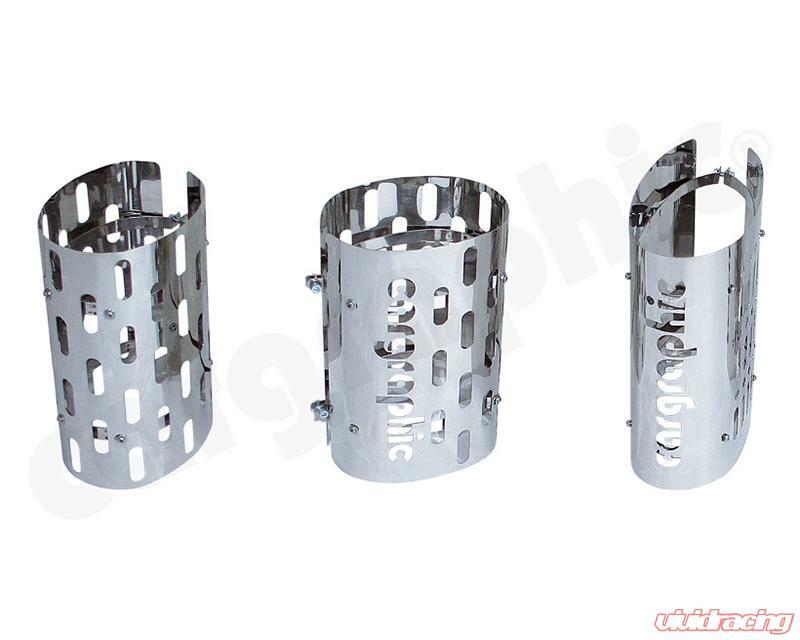 Comes with a heat shield with either no logo, CARGRAPHIC logo or an individual logo. CARGRAPHIC is well known for its aftermarket accessories for exclusive automobiles and especially for its exhaust systems and performance components for Porsche models. 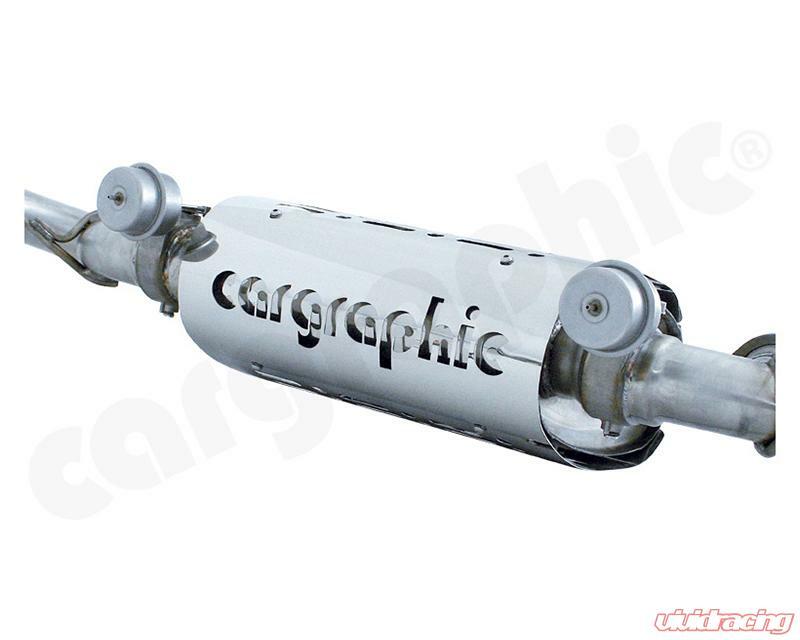 CARGRAPHIC own developed and manufactured parts include manifolds, catalytic converters, silencers with or without integrated flaps, Active Sound exhaust systems (for Diesel cars), three-piece wheels and the CARGRAPHIC AirLift, a helpful front-axle lift system for lowered sport cars with limited ground clearance. 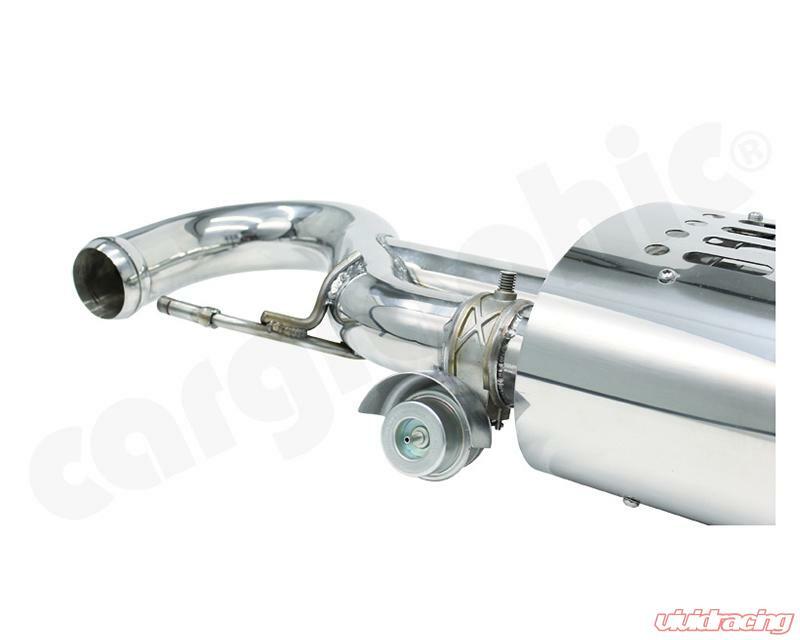 With approximately 70% of turnover, the exhaust section including the new Active Sound Systems is CARGRAPHIC’s most important product line. Followed by CARGRAPHIC’s own wheel series and CARGRAPHIC performance upgrade components.